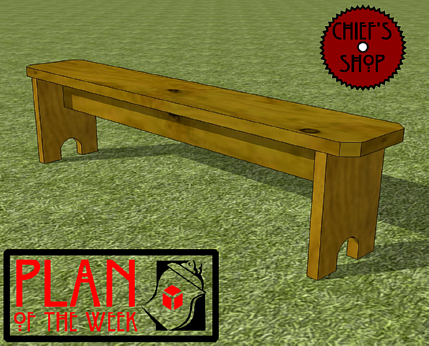 The Chief’s Shop Picnic Bench provides a large and sturdy seating option for any outdoor space. Make a couple to use with a large outdoor table for parties or family dinners. A circular saw, miter saw, jig saw, drill, and a Kreg Jig are all you need to make it.